Mountain Ash, in the Cynon Valley, is bracing itself for yet more travel disruption as gas main replacements starts in the town centre next month. Rhondda Cynon Taf council, last year, announced Miskin Road and Oxford Street were set for urgent, significant works by Wales and West Utilities to replace the main, following several leaks in recent times. The project will include renewing the gas main from Town Hall to Miskin Road near Bailey Street, including a section across the nearby bridge and through Oxford Street. The council will also close the town’s bridge, which is a vital route for locals to get in and out of the town. It will be closed in both directions on Sunday, March 1st, while a one-way system will be introduced from March 29 to April 13. Motorists will only be able to use the bridge to travel out of the town for the two-week closure. 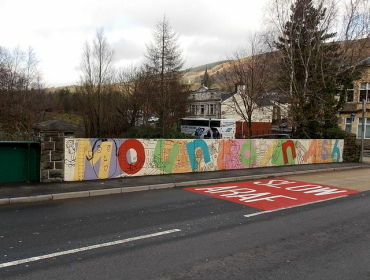 Mountain Ash East councillor Pauline Jarman, leader of Plaid Cymru within RCT council, has warned that anyone looking to travel to the town centre in a vehicle will face a detour of up to five miles – north to Cwmbach or south through Tyntetown. Should there be a new traffic system in place to deal with a large density of traffic? 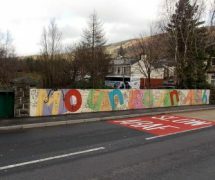 Many locals want to see a new road link into the town which would connect Mountain Ash to the rest of the Cynon Valley without constant tail-backs on the New Road and traffic flowing into the town centre via the bridge. I’ll have the latest on the disruption as the works begin in March, until then thanks for reading.